The RETRONUKE team is comprised of passionate writers from around the globe and continues to grow every day! Meet some of our featured contributors and find links to their work below. 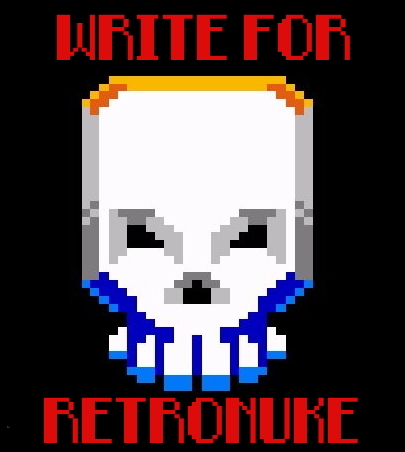 If you are looking to write about video games, then please review our posting guidelines and shoot as an email at retronukeblog[at]gmaildotcom. Ralph is an avid retro gamer and indie game aficionado from Long Island, New York. NES titles like Contra, Metal Gear, Shatterhand, and Metroid were the first games he ever played and he’s been hooked ever since. In his free time he plays electric guitar, steam games, and writes for RETRONUKE.com. His Twitter handle is @ralph_durso where he tweets about his favorite indie games. Victor is a gamer that has been playing for nearly 20 years. Starting on the SNES, his love for 16-bit games started quite young, often playing Super Mario World and Mortal Kombat II. He spends his time playing Overwatch, writing for video game websites, and playing trombone in a few bands. You can follow him on twitter/instagram or join him for Terraria on Steam under the handle @Vigidya! Bradley Robbins is an old-school gamer who never lost touch with the gaming scene. From his first ColecoVision to the PS4 Pro, he’s always had a love affair with RPG, strategy and fighting titles. With over a decade of experience as a copywriter & blogger, “Scratchpad Brad” is back in the writing game after a few too many years in a cubicle slaving away on a team of overnight search zombies, for real! Catch him on Facebook or Twitter. When she’s not hacking away on her prized mechanical keyboard, Tanya enjoys obsessing over video games, fantasy books and her novel-in-progress. You can learn more about her copywriting and journalistic work at tanyadecarie.com. Maria Geary likes pixelated games because the format makes it slightly harder to objectify women. She is from Alaska. Her main complaint with Stardew Valley, & life, is the amount of socializing required. You can follow her on Twitter at maria_JGB.